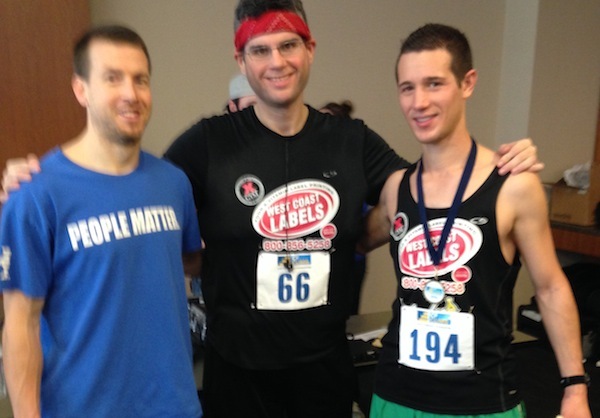 Race Recap: Chicago CF Climb 2014 | Keep It Up, David! 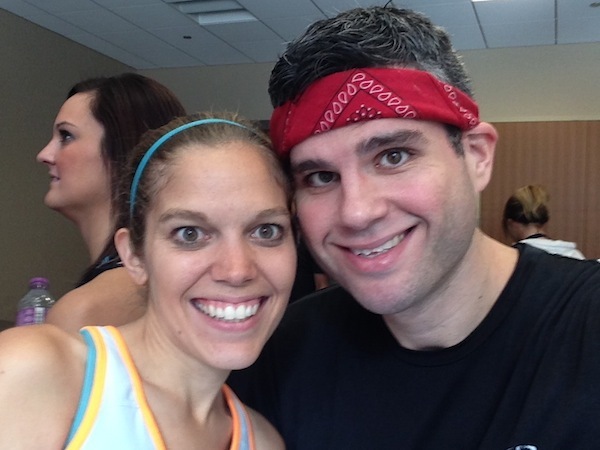 It was only seven days ago that I raced up 103 floors in the Willis Tower. Yesterday, it was time to race again! 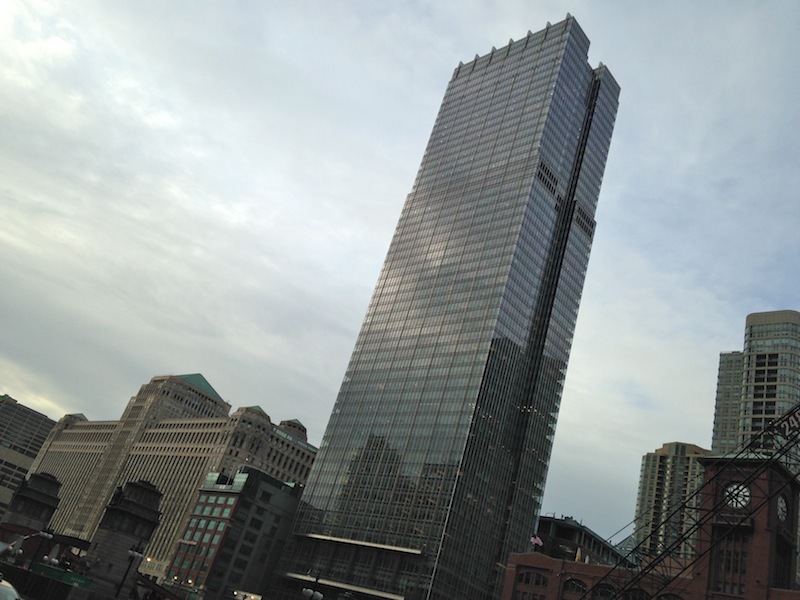 The Chicago CF Climb (benefiting the Cystic Fibrosis Foundation) was held in the 58-story 300 North LaSalle building. 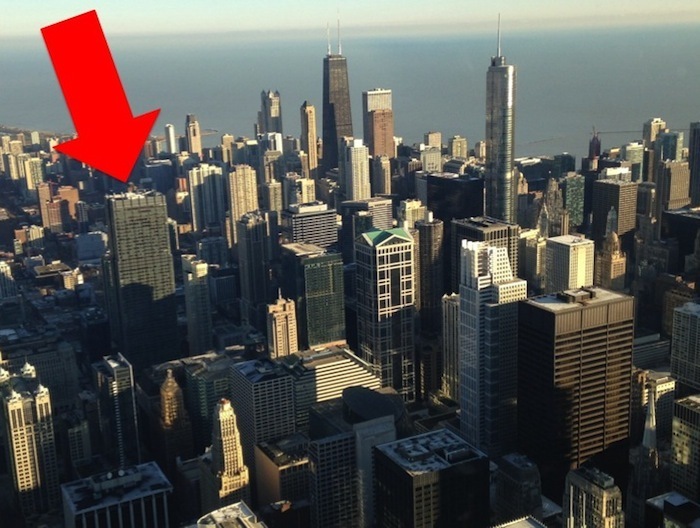 To be fair, everything looks tiny from the SkyDeck. Up close, 300 North LaSalle is still a formidable structure: It’s 784 feet tall, rising up from the north bank of the Chicago River. I tried to not let my confidence turn to cockiness. I’ve raced in buildings around this height (like the Aon Center, Figueroa at Wilshire, and the Stratosphere), and it’s not easy. No stair race is easy. I kept reminding myself that while I might’ve have prepared, I still had to work. This race was small (only a few hundred climbers) and well organized, so I had plenty of time before the 9am start to chat with friends, stretch, and loosen up my muscles. 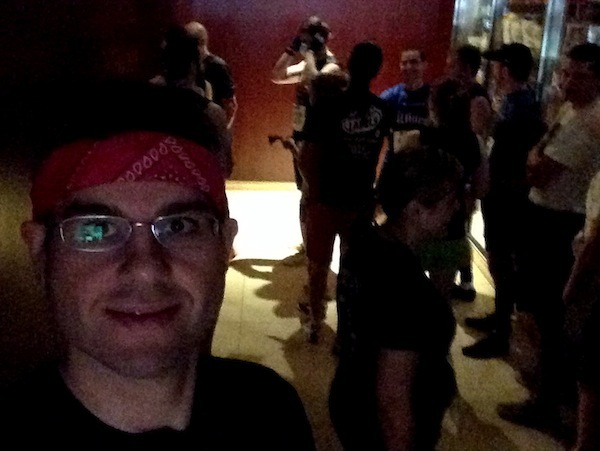 The start line was at the end of a dark hallway. I was in the competitive wave, which started just after the elite climbers, so only 20 or so climbers started before me. See? Dark hallway. I was excited that climbers started 20 seconds apart, which is great: it lessens congestion in the stairwell. It also created a challenge for me, and I didn’t realize it until after the race began. The lack of other racers in the stairwell meant that there was no one to pace myself against, no one to try to catch up to, or try to stay ahead of. I only saw two other racers the entire time, and the first one didn’t pass me until the 35th floor. Normally, a situation like this would be ideal, because passing (whether you’re the one passing or the one being passed) can mess with your rhythm and footwork and add seconds to your time. I’ve never raced in such an empty stairwell, though, and it messed with my head. One of my goals for every race is to stay positive. Stair climbing is repetitive, and my mind can wander, and being alone with my thoughts can sometimes be dangerous. If I lose focus and wander into negative territory, it’s hard to return to feeling good about the race. I didn’t quite reach that negative territory, but I felt myself coming close, and I had to work harder to stay focused, encourage myself, and stay positive. That wasn’t my only challenge, either. I started the race a little too strongly, and felt my energy draining sooner than I would’ve liked. I never really got my bearings on the landings on the first 20 floors, so it was hard to find a rhythm. And, for some reason, I had it set it in my head that the 24th floor was the halfway point, and that also messed with my head (because the halfway point was actually the 29th floor). RELATED CONTENT: Check Out More Race Recaps Here! But there were other things that went really well for me. 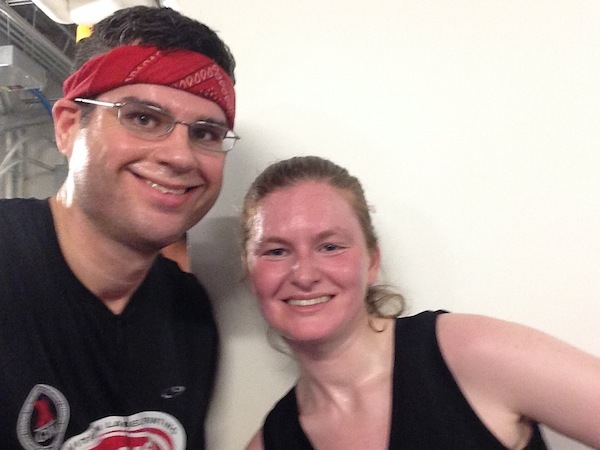 On the 22nd floor, we exited the stairwell, ran down the hall, and completed the race in a different stairwell, and I managed to find a good, maintainable rhythm during the second half. The stairwell was narrow, so I was able to take advantage of my ample wingspan and use the handrails on both sides, which I like. Lastly, I double-stepped much longer than I have during other races, and that made me feel really strong. Despite the challenges, I crossed the finish line feeling good, which, for me, also means ready to collapse. 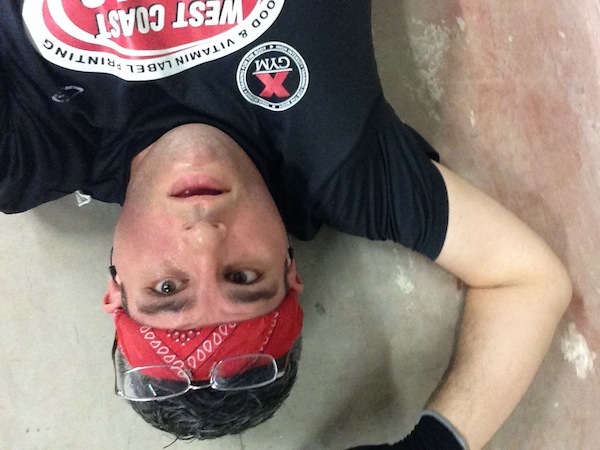 I found a spot to lay down for a few minutes while my heart rate fell from the high 170s into the normal range. The race ended in an interior hallway and storage room, so there were no views. 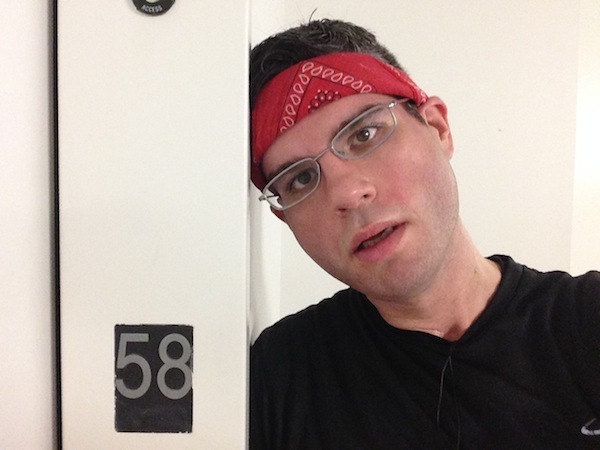 Instead, I took a selfie with the floor number (I was too exhausted to smile). After slamming a bottle of water, I took the elevator down and hustled back to the lobby… because I wanted to go again! The second time was just for fun – access to skyscraper stairwells isn’t granted very often, so I take advantage! 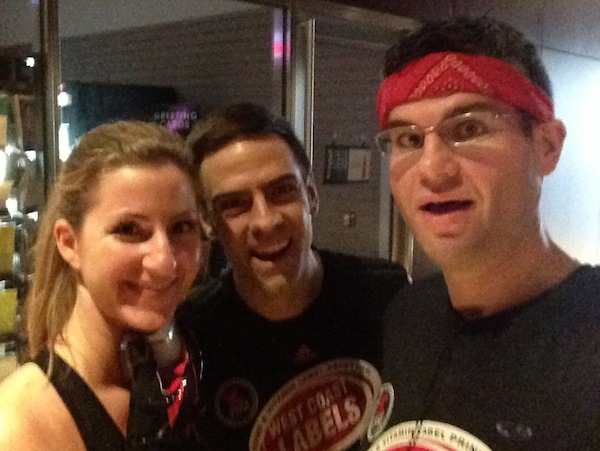 I met up with my friends PJ and Beverly in that dark hallway by the start line. I hadn’t given myself a specific goal, but predicted that I’d finish within a 3-minute window, and my time was squarely in the middle of that window. Even better, I finished 42nd among men and 50th overall… which means I cracked the Top 50! Maybe my incredible speed disrupted the space-time continuum allowing me to finish twice. Who knows? *UPDATE*: The official results were posted. I came in 51st. So I’m not Top 50 overall, but I’m still 42nd among men! What a great way to wrap up my trip to Chicago. I get to go home with two more skyscrapers under my belt, and the knowledge that I clobbered two more races. 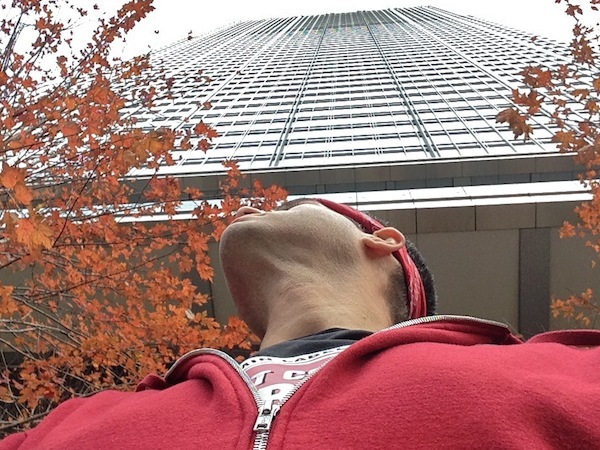 I can’t rest yet… next weekend is my final skyscraper race of 2014! PS: Lots of love to my donors that helped make this race possible: Laura, Chuck, Rachel, Amy G., Amy S., and Dana! You guys are the best! This entry was posted on Monday, November 10th, 2014 at 12:03 am and is filed under Uncategorized. You can follow any responses to this entry through the RSS 2.0 feed. You can leave a response, or trackback from your own site. Two more races, completed! Finishing in the top 50! 900 hundred posts! You’re like the energizer bunny! Great to see you in Chicago, Karen! Well done, David! You should also be moving up nicely in the national rankings – yet some more #’s to be able to throw around soon. Congratulations on 900! Thanks man. I gotta keep my eye on those national rankings! That is fantastic! I’m surprised you didn’t see yourself as you finished 50th and 51st. 🙂 Way to go David! … and you’re just 2 away from 5,500 followers . . . many congratulations! Thanks for another interesting recap, David! Sounds like y’all had some fun climbs! I’m enjoying these races vicariously!